Recently I made my way up to New York’s Capitol Building in Albany to “storm the castle” if you will with my fellow New York Library advocates. Every year, library workers and supporters travel caravan style from all over the state to share why libraries are important. We are at the ready with stats, numbers, stories, and anything else that can show our local representatives why we are essential to our communities and how we need them to stick up for our budget. Of course this is New York budget and only one day a year. While it is indeed powerful to see a building full of library supporters chanting “We! Love! Libraries!” in matching hats and hearing stories from representatives about how libraries have changed their lives this is only one rally in one state on one day, what can we do the other 364 days of the year? 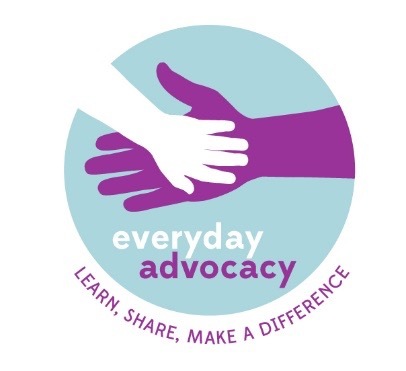 Be Informed: Learn the ins and outs of advocacy. Engage: Find out who to contact and how. Get inspired: See what other have shared. Share your Story: Then share your own on this simple form. Speak Out: Explore ways to craft your messages and the different ways to communicate them. ALSC’s Everyday Advocacy currently has a link on their homepage to ALA’s #FundLibraries campaign. This is an easy to use tool that lets you search to see if your representatives support library funding. It also offers even more simple tools about how to best contact your representatives. For your own knowledge the page contains a link to an infographic explaining federal funding and how we can advocate. Also, be sure to take a look at YALSA’s Advocacy page which contains our toolkit and other resources. No matter which page you visit know that the time to advocate is now. Do something every day and show them our immense worth. Derek Ivie is a YALSA Board Member-at-Large.